Belle Vue Hotel is a smoke-free property. Dining facilities at the hotel include a restaurant. There is also room service available. An ATM/banking as well as currency exchange facilities are also available. Public areas at Belle Vue Hotel are comfortably air-conditioned. Other hotel amenities include gift shop/newsstand and tennis court(s). Guests can also enjoy the following spa/wellness facilities: sauna, steam room, on site spa services, full-service health spa, spa tub. After a long day of business meetings or sightseeing, hotel guests can book a relaxing massage. 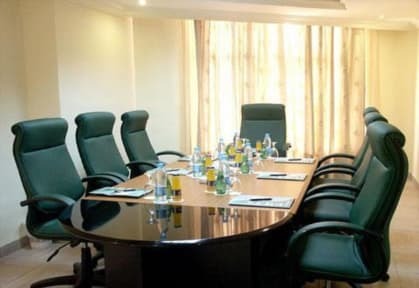 Belle Vue Hotel features a well-equipped business centre complete with audio-visual equipment. Event catering can also be arranged. Guests can also use area shuttle (fee applied). For guest convenience, parking is offered at no extra cost in a garage. Valet parking is also available. Limo/Town car services can be arranged. 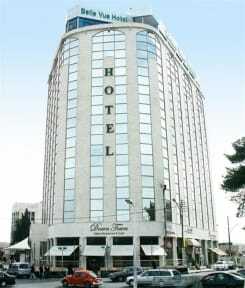 Belle Vue Hotel is conveniently located only 8.7km from the centre of Amman. Local tourist attractions such as Ras Al Ein Square, King Hussein Mosque and National Archaeological Museum are not far from the hotel. Other services: babysitting or child care, coffee in lobby, coffee shop/café, complimentary newspapers in lobby, computer rental, concierge services, dry cleaning/laundry service, elevator/lift, express check-out, laundry facilities, laundry service, medical assistance available, on-site car rental, porter/bellhop, roll-in shower, tours/ticket assistance, wedding services, wheelchair accessibility. Cancellation Policy: 72h prior to arrival.